Artist, Debra Halprin, projects her view of the world through her artwork. She works in water media and finds visual excitement through contrast and color. Although primarily a portrait artist, Ms. Halprin enjoys painting still lifes, interiors and landscapes. 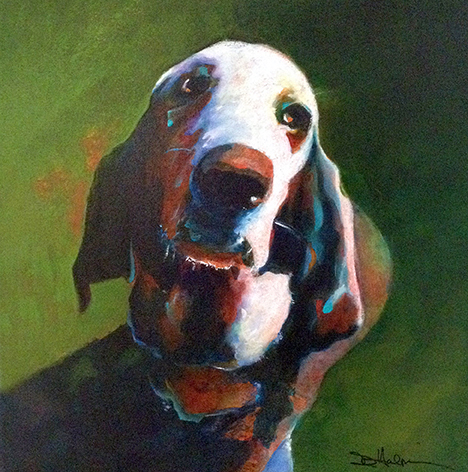 Her work is representational with an impressionistic flavor. 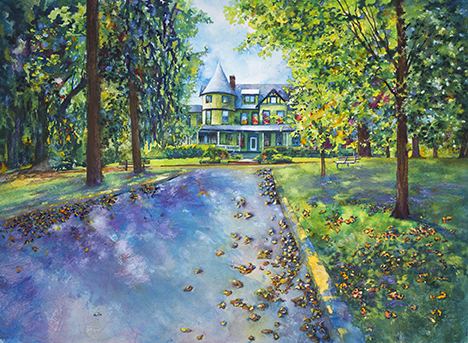 Ms. Halprin is an award winning Artist whose works have been accepted into the prestigious Baltimore Watercolor Society’s Mid Atlantic as well as the Philadelphia Watercolor Society’s International Exhibits. Her portrait “Little Miss Molly” was juried into Touchstone Gallery’s exhibit “The Human Form” where Juror, Dr. Anne Goodyear, Assistant Curator of the National Portrait Gallery in Washington, DC, awarded Debra Second Place. Debra works with many local Realtors depicting the homes they have helped purchase or have sold. The image of the property is then used in mailings and advertisements throughout Montgomery County. Ms. Halprin’s works have been featured in articles in Washington Home & Design Magazine, The Washington Post, Palette Magazine, The Gazette Newspaper and Montgomery County Insight Magazine. In addition to creating artwork, Debra has opened a Fine Art Giclée printing business where she assists other artists in reproducing their works.